SS Rajamouli’s upcoming magnum opus Baahubali-The Conclusion starring Prabhas, Rana, Anushka in central roles has got additional cast. 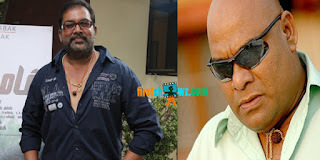 Madhusudhan, who was seen in Autonagar Surya and Kathakali, and Ajay Ghosh of Run Raja Run, Jyothi Lakshmi fame were zeroed in for the negative roles in Baahubali:The Conclusion. Madhusudhan will be seen as the trusted aide of Bhallaladeva, essayed by Rana Daggubati in the film, and he has already joined the sets in Kerala schedule. Baahubali 2 has recently wrapped its Kerala schedule and the shoot has resumed in Hyderabad in an erected set in RFC. Prasad Devineni and Shobu Yarlagadda are producing Baahubali-The Conclusion under Arka Media Works banner, with camera by Senthil and music by MM Keeravani.